Dragon SpX-12 is the twelfth operational mission of the SpaceX Dragon under NASA’s Commercial Resupply Services contract, lifting off in August 2017 as the third Dragon flight of the year to keep up a steady chain of supplies and experiments headed to the International Space Station and its six crew members. The Dragon SpX-12 mission delivers dozens of experiments supporting a total of 330 experiments underway during ISS Expeditions 51 and 52 and the spacecraft also carries a high-profile astrophysics payload that aims to measure the highest-energy particles arriving from the distant universe. The SpX-12 mission uses the last newly built Dragon vehicle with all subsequent Dragon missions under CRS-1 (through SpX-20) to be performed by previously flown and refurbished Dragon spacecraft. 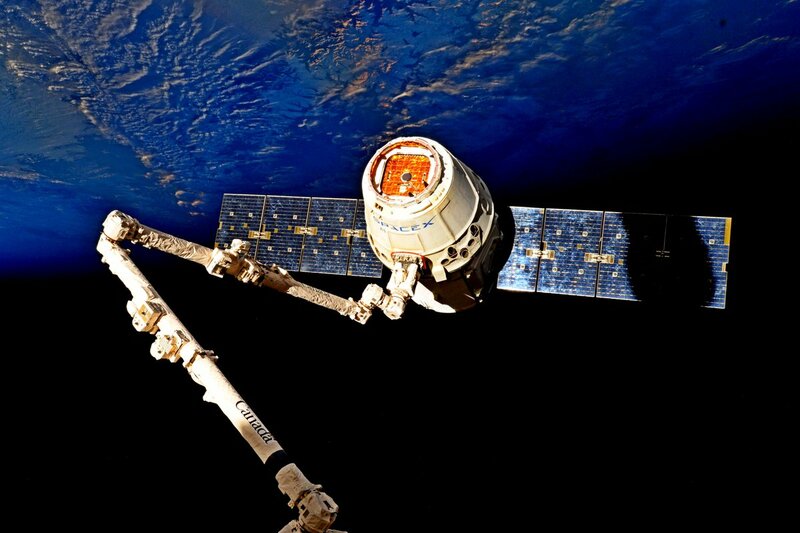 This facilitates a transition at SpaceX’s production line from the Dragon 1 spacecraft to the Dragon 2 vehicle that will handle missions under the Commercial Crew Program as well as the CRS-2 contract round that guarantees SpaceX at least six cargo missions through 2024. 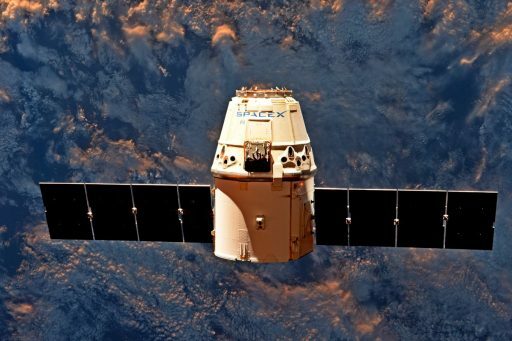 The first Dragon re-flight was carried out earlier in 2017 on the SpX-11 mission that flew the Dragon C106 vehicle which had previously spent time on orbit for the SpX-4 mission back in September/October 2014. 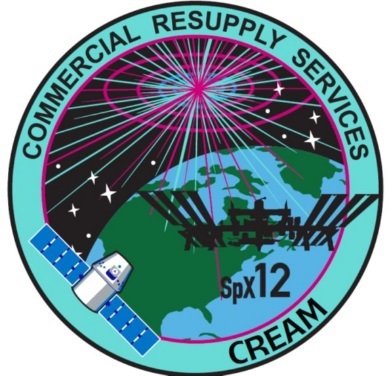 The mission was trouble-free and cemented plans of flying the SpX-13 through 20 missions with refurbished Dragons. SpaceX designed the Dragon cargo craft to be at least partially reusable in that their pressure vessel and propulsion system were baselined for multiple mission cycles. Some components like the trunk section and solar arrays are discarded before re-entry and have to be built new for every Dragon mission and other components like the heat shield, some external panels and avionics components are also replaced between flights. The Dragon SpX-12 mission is carrying a total cargo upmass of 2,910 Kilograms to the International Space Station, comprised of 1,258 Kilograms of external cargo in the spacecraft’s trunk section and 1,652 Kilograms of pressurized cargo to be transferred to ISS by the crew. Dragon enjoys a special role within the Space Station’s visiting vehicle fleet as the only craft capable of returning meaningful cargo downmass to the ground (aside from the Russian Soyuz that can carry a few dozen Kilograms of cargo when flying with a full crew of three). 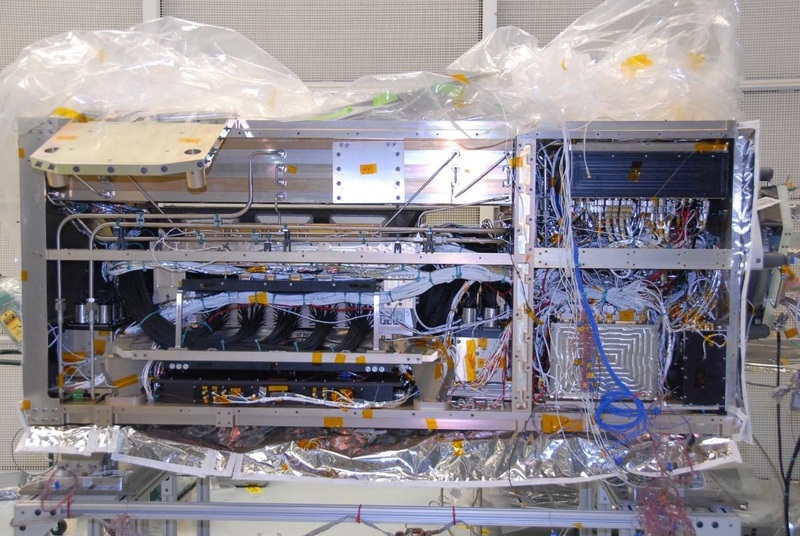 Installed in the Trunk Section of the SpX-12 Dragon is CREAM, the Cosmic Ray Energetics and Mass Instrument, that will take up residence on the Station’s porch, the Exposed Facility of the Kibo Module to measure ultra-high energy particles to further knowledge in high-energy astrophysics, hoped to answer long-standing questions on peculiarities of the cosmic spectrum. The Dragon will launch with three powered Polar Freezers holding various biological experiments to be performed on ISS, a Rodent Habitat Transporter Unit holding 20 mice and a JAXA Mouse Habitat Unit hosting another group of rodents. Both rodent experiments flown by SpX-12 will feature a live return of the mice for post-flight testing on the ground. 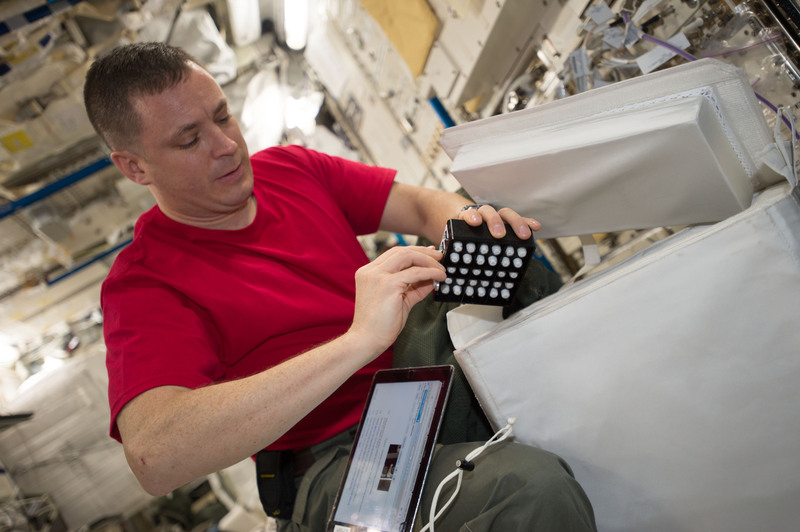 For return, Dragon will hold four powered Polars to return samples from orbit, providing a welcome opportunity to empty out the Station’s lab freezers that hold everything from crew member samples & plant parts to mouse organs and samples from the ISS environment. CREAM – the Cosmic Ray Energetics and Mass Instrument – is an energetic particle detector taking up residence outside the International Space Station to directly sample ultra-high-energy particles from outside the Solar System that exceed the energies achievable with any current-generation particle accelerator on Earth and hold clues on the composition of the universe. The CREAM experiment is hoped to answer the century-old question on what gives cosmic energies such tremendous energies (1,000 Tera-Electronvolt +) and how does that affect the composition of the universe. CREAM can measure particles at higher energies than the Space Station’s high-profile astro-physics payload, the Alpha Magnetic Spectrometer 2, and is therefore hoped to reveal what causes a ‘knee’ or decline in the cosmic energy spectrum around a thousand trillion electron-volts where particle theory would not predict such a decrease. 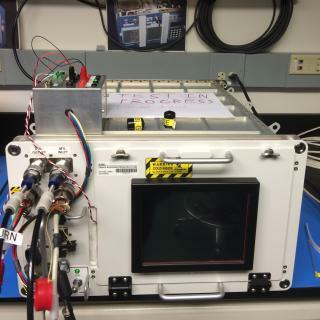 The Spaceborne Computer, more formally known as the “High-Performance Commercial Off-The-Shelf Computer System on the ISS,” will complete a year-long experiment of a COTS computer system on ISS to evaluate its performance in the challenging space environment with particular focus on the space radiation environment. COTS computers, while not radiation-hardened like operational systems on ISS or other satellites, can be programmed to respond to radiation by lowering operating speeds (powering down) and the Spaceborne Computer provides a cost-effective way of studying methods of using software to protect space-based computers without needing as much radiation hardening as current systems are using. Presently, the Space Station’s main computers in charge of command and control functions are using Intel i386 processors from the 1990s. For ISS, this is perfectly fine since all critical systems are monitored round the clock by flight controllers who can make critical decisions and work with the crew in case of any problems. For missions venturing out into the solar system, the task of making critical flight decisions will have to be made by advanced computer systems and artificial intelligence as humans on Earth can no longer be directly in the loop due to communication delays that can be anywhere from a few minutes to several hours. NASA partnered up with Hewlett-Packard to develop a space-based ‘supercomputer’ to take a first step in high-performance computing in space. Although the Spaceborne Computer is still a generation behind ground-based systems, it represents the most powerful computer sent into space to date. The computer is capable of 1012, floating point operations per second (1 teraflops). The Spaceborne Computer, comprising two identical high-performance COTS systems, will be installed in the Destiny lab and run a series of computing tasks and data-intensive applications. Radiation effects on the computer are determined concurrently with detecting/analyzing/adapting to data, quickpath interconnect (QPI) internal and FDR external errors. Power consumption is constantly monitored and dynamically tuned on one machine to reduce power during high radiation periods while the other remains in a maximum and steady power/performance config to see whether it degrades quicker than the software-throttled unit. An identical set of computers will complete identical processing tasks on Earth to act as a control. The computers will generate around 5.4MB of performance data per day that will be stored on solid-state devices and downlinked on a daily basis. At the end of the year-long mission, the two spaceborne units will return to Earth to undergo post-flight studies comparing the throttled and non-throttled unit to one another and the Earth-based controls. 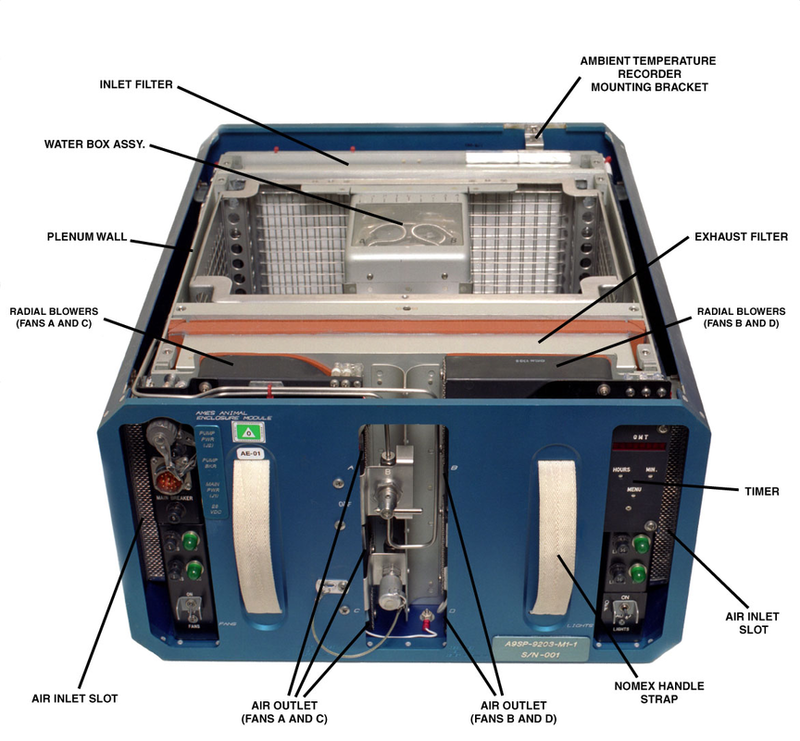 The Protein Crystal Growth 7 experiment, operated by CASIS and the Michael J. Fox Foundation, goes by the full name of “Crystallization of LRRK2 Under Microgravity Conditions” and attempts to utilize the microgravity environment to grow larger version of the LRRK2 protein which has been implicated in Parkinson’s disease. Large LRRK2 crystals will enable scientists to fully understand its structure and its role in Parkinson’s, thus helping in the development of therapies against this target protein. The use of protein crystallography requires high-resolution diffraction-quality crystals of a protein in order to be able to model the three dimensional structure of the molecules. Many protein molecules synthesized on Earth fall short of that requirement, allowing only partial structural information to be extracted. For targets in which high-resolution crystal structures are needed, production of crystals in the space environment may be a solution. 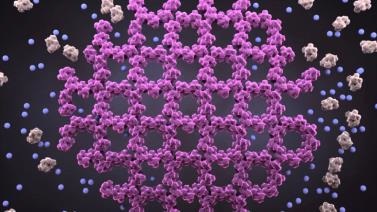 Growing Protein crystals in space yields larger, more uniform and pristine crystals than those grown on Earth due to the absence of a number of issues such as sedimentation and shear forces, preventing the growth of large molecules. In case of LRRK2, Earth-grown crystals are too small and compact to study with current laboratory methods despite ten years of efforts to map out the protein’s structure. 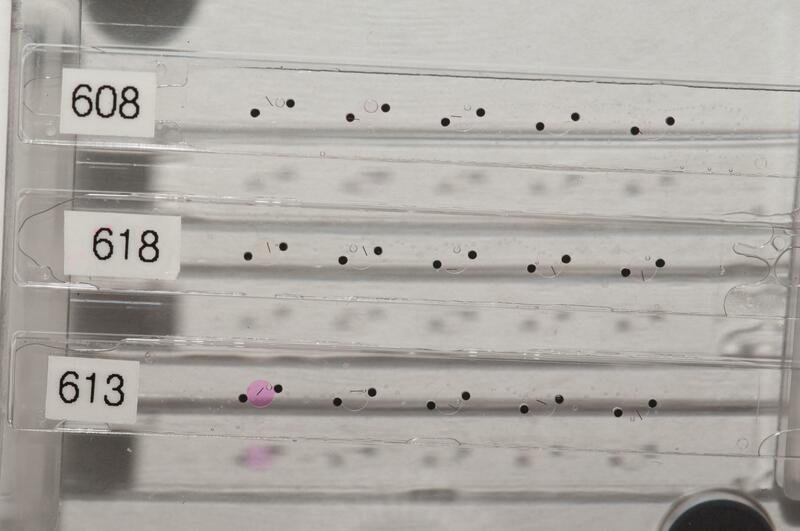 The PCG7 study will grow LRRK2 crystals aboard the Space Station and return them to Earth to undergo analysis using x-ray diffraction and neutron diffraction studies. This will yield complete crystalline structure information of the target protein and help inform potential inhibitor therapies that could prevent, slow or even stop the progression of Parkinson’s disease. 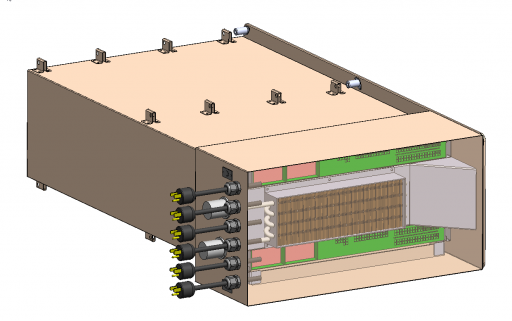 The PCG7 experiment employs the Microlytic Crystal Former Optimization Chip (16 Channel) plate – a commercial product that is similar to previously flown PCG multi-channel/well plates. The hardware is launched in cold stowage to remain frozen until being transferred to the ISS environment to start the three-week nucleation and crystallization process. Return to Earth is completed in refrigerated storage. 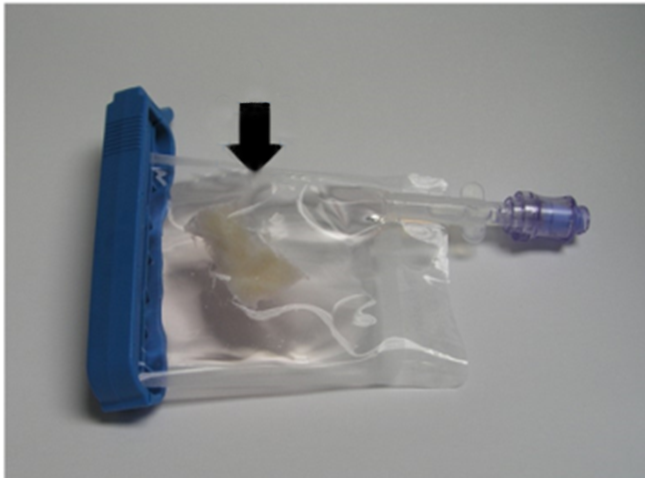 “Effect of Microgravity on Stem Cell Mediated Recellularization (Lung Tissue)” aims to use the microgravity environment to test methods for growing new lung tissue. Exploiting state-of-the-art bio-engineering techniques, the Lung Tissues experiment will use different types of lung cells grown in a specialized framework that provides them with critical growth factors to allow for an assessment on how gravity affects cell growth and specialization. Bioengineered human lung cells can be used as a predictive model of human responses for the study of lung development, lung physiology and disease pathology. The Lung Tissue study provides the first comprehensive look at what happens to lung function and repair during prolonged exposure to the space environment, characterized by the absence of gravity, hyperoxia and elevated radiation exposure. 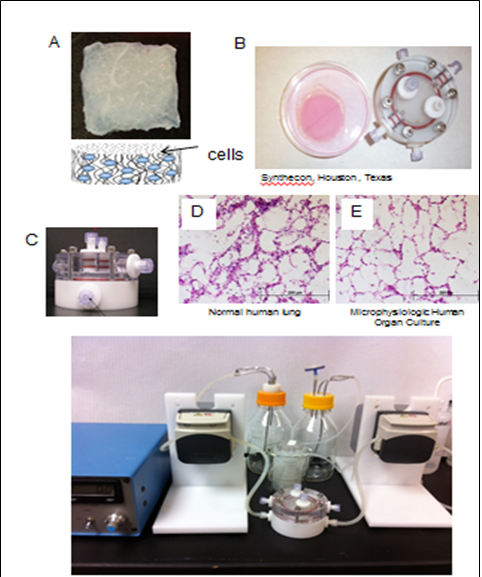 In-vitro studies of human lung mimics can simplify complex mechanisms of pathogenesis and reveal the processes involved in the development of various lung diseases. 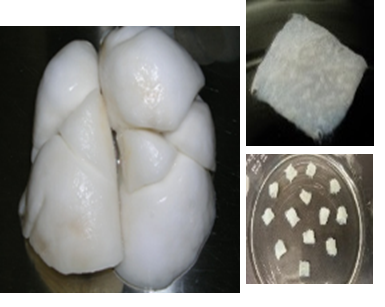 Lung mimics can also be used for assessments of drug or chemical toxicity by biotechnology and pharmaceutical companies, allowing for rapid and risk-free testing of new chemicals, lowering the cost for developing new drugs. The microphysiologic human organ culture model (MHOC) developed by the research team consists of lung epithelium and endothelium which allows for comprehensive in-vitro studies of lung physiology, response to trauma and development of lung disease. The lung mimics are created by seeding progenitor cells (that still have to differentiate into specific cell types) onto an accellular lung scaffold (colloidal crystals + growth factors) with micro- or nano-structures which give rise to the appropriate cell-to-cell interactions leading to lung tissue formation with particular focus on the alveolar-capillary junction that includes both epithelial and endothelial cells. MHOC lung mimics can include epithelial type I & II cells, smooth muscle cells, fibroblasts and mesemchymal stem cells (MSC) as well as other progenitor cells. The MHOC models can be constructed to include cell phenotypes of interest for specific studies such as MSCs and macrophages which will be used by Lung Tissues to examine the influence of spaceflight on human immune responses which are in part driven by macrophages and MSCs in the lung. There currently is no knowledge on the influence of spaceflight on the function of stem or progenitor cells or MSCs, although they play a major role in modulating human immune responses and support the generation of new lung tissue. MSCs help in tissue repair, modulate immune response and therefore are prime candidates for clinical applications in regenerative medicine. Lung Tissues addresses the primary hypothesis that spaceflight alters the ability of human lung progenitor cells and macrophages to function due to the absence of gravity and elevated radiation levels. The space environment may affect the proliferation and self-renewal capacity of MSCs which hinders lung tissue repair and immune response. A future goal of the study is to work out strategies for modulating MSC or macrophage responses in space to decrease health risks in space flight and potentially develop treatments for immunosuppressive conditions on Earth. 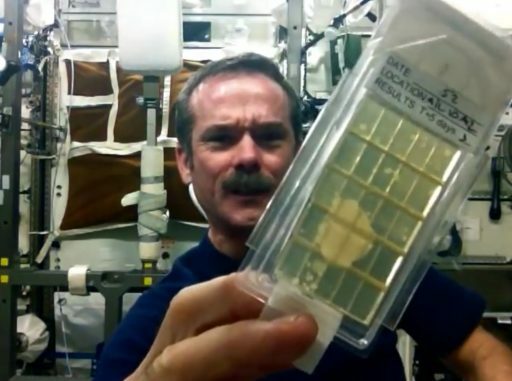 The Lung Tissue experiment rides to ISS in BioCell Habitat containers conditioned at 37°C and charged with 5% carbon dioxide. On ISS, the cultures are placed into the SABL with a control unit to supply the required thermal environment and CO2. The Station crew will complete periodic sampling of the cultures, taking a 4.5ml sample from the culture bags and freezing it at -80°C for the remainder of the flight and then at -20°C or colder for return aboard the SpaceX Dragon. The cells remaining in the bags at the end of the ~5-week mission will be chemically fixed and returned in cold bags at under 4°C. 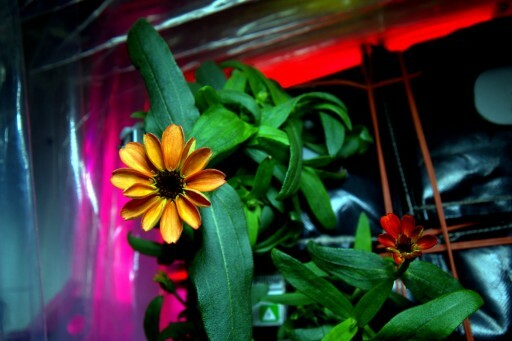 The Space Automated Bioproduct Lab (SABL) is a new space life science facility to be deployed on the International Space Station for a wide variety of research ranging from fundamental, applied and commercial space life sciences research to education-based investigations. 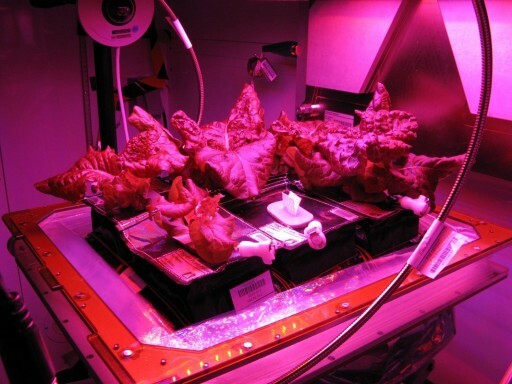 The Space Automated Bioproduct Lab is an incubator facility to host cell culture and other biological experiments, supporting bacteria, yeast, algae, fungi, viruses, animal cells and tissues and small plant and animal organisms. 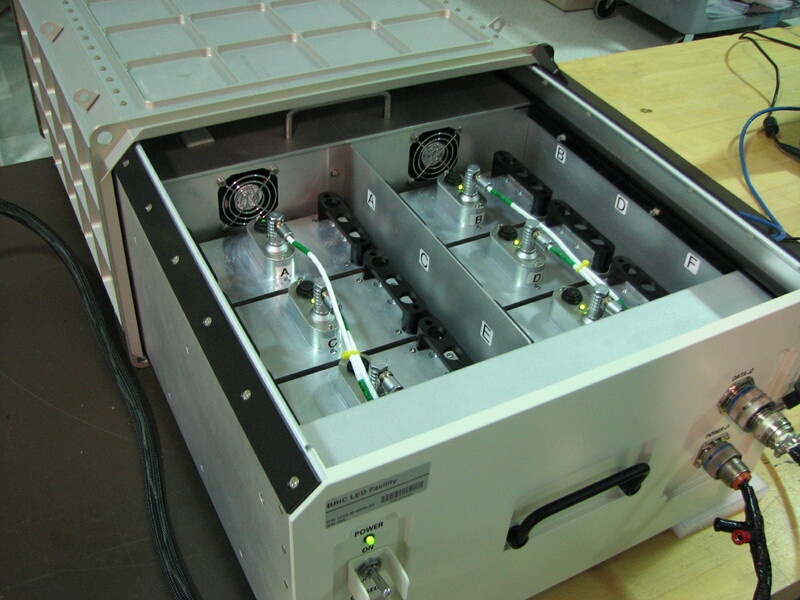 SABL provides an experiment volume of 22.8 liters suitable for 18 Group Activation Packs. 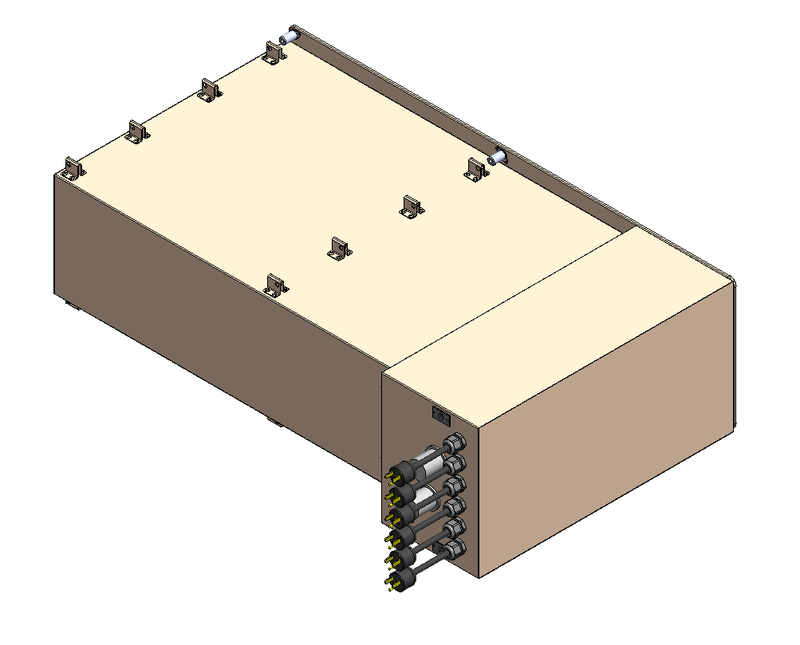 The system measures 41.9 by 27.9 by 19.4 centimeters in size and it can support temperatures of –5°C to +43°C, offering a number of accommodations that make the facility easy to use for Astronauts onboard ISS such as a front door that can be opened without removing any connectors for a simple exchange of payloads or payload trays. Thermal control is provided by a water cooling loop and electrical heaters. The facility is controlled via a high-resolution color touchscreen, the first of its kind deployed on ISS. Data is delivered to and from the facility using USB 2.0, Ethernet and A/D In-Out interfaces. Within the sample chamber, experiments can be documented using high-definition imagery and scanning, high-resolution imaging. Rodent Research 9 has the full name “Effects of Spaceflight on the Musculoskeletal and Neurovascular Systems and Their Implications in Mice” and studies how the microgravity environment affects the immune systems, muscles and bone structure of rodents over an extended stay in space. 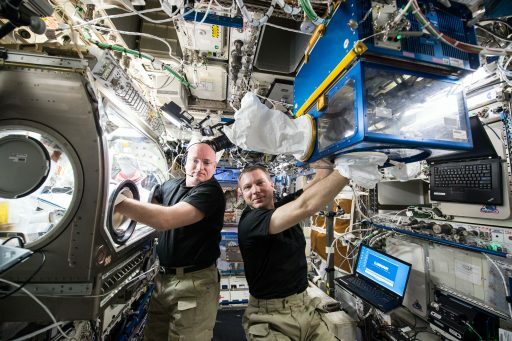 The experiment, unlike some of the previous Rodent Research studies, will use a live return of the mice so that scientists can study how their time in Zero-G affected their various bodily systems and tissues. RR-9 is actually the sixth Rodent Research flight following up on a proof-of-concept mission on SpX-4 and rodent science missions on SpX-6, 8, 10 and 11 that looked at various research topics such as space-induced rise in intracranial pressure, antibody response, and methods for prevention of skeletal muscle atrophy and osteoporosis. The RR-9 experiment takes a multi-pronged approach to look at space-related stress factors and their effect on the Musculoskeletal and Neurovascular Systems of vertebrates acting as model organisms for humans. Rodent Research 9 addresses three objectives: a) determine the effects of long-duration space flight on cerebral arterial and venous tone, constrictor responsiveness, mechanical stiffness / gross structure, and capillary endothelial cell structure and lymphatic contractile activity; b) study the retinal micro-vascular and tissue remodeling that impact visual function and identify factors and cellular mechanisms that trigger space environment-induced alteration of cell-to-cell interaction in the function of the blood-retinal barrier; and c) determine the scope of knee and hip joint degradation undergone during long-duration space flight. Given the genetic and physiological similarities between mice and humans, this experiment can provide insights into how human tissue and systems change under space-related stress factors. The research also contributes to disease treatment and prevention through revealing pathways of cellular degradation in human circulatory, immune and nervous systems. Ideally, the study will help in the development of drugs and other regimens to mitigate adverse health effects arising from long-term space travel. Rodent Research 9 involves 20 mice flown to ISS in the Transporter Unit before taking up residence in the ISS-based Habitat Unit for the duration of the 30-day mission. Daily video downlink is needed to monitor the health of the animals. At the end of the rodents’ stay on ISS, they will be transferred into a clean Transporter Unit for return to Earth aboard Dragon. 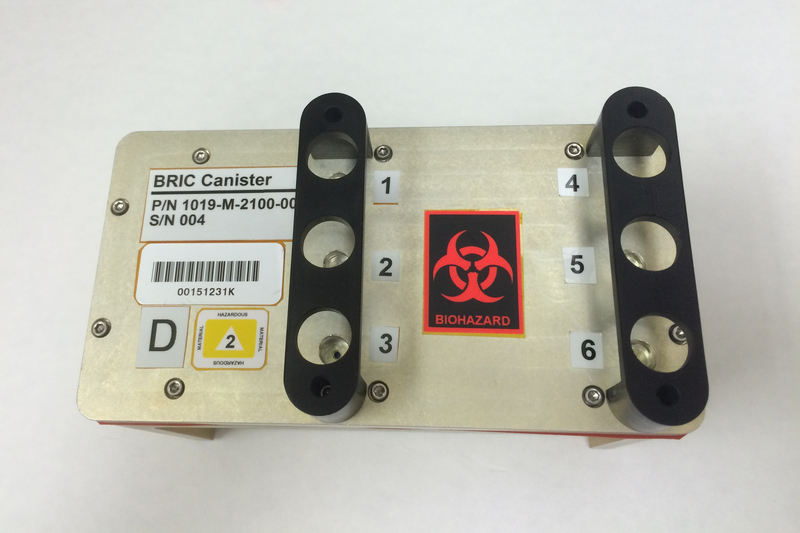 The Biological Research in Canisters (BRIC) utilizes standardized experiment containers on ISS to conduct experiments with minimal crew time requirements. BRIC-22 takes previous studies as a basis that identified the protein AtIRE1 which acts as a master regulator and, with additional gene regulators, helps protect plants from space-induced stress. The BRIC-22 experiment features eight variants of thale cress to determine how AtIRE1 performs its protective function by identifying the genes targeted by the protein and examining specific triggers of AtIRE1 activity. The BRIC-22 experiment travels to ISS in a double cold bag and is then unstowed to allow the plant cultures to cultivate for 14 days before chemical fixation by the crew. Fixed samples are frozen at -80°C and return in Dragon cold stowage for an expedited return to Michigan State University for RNA sequencing and a quantitative analysis of the marker gene expression via the Polymerase Chain Reaction. BRIC-LED is a technology validation of a new BRIC unit that can perform biological investigations in a closed device with artificial illumination of samples via LEDs to expand the existing BRIC hardware and analyze the behavior of a range of organisms as a function of illumination (wavelength & intensity). 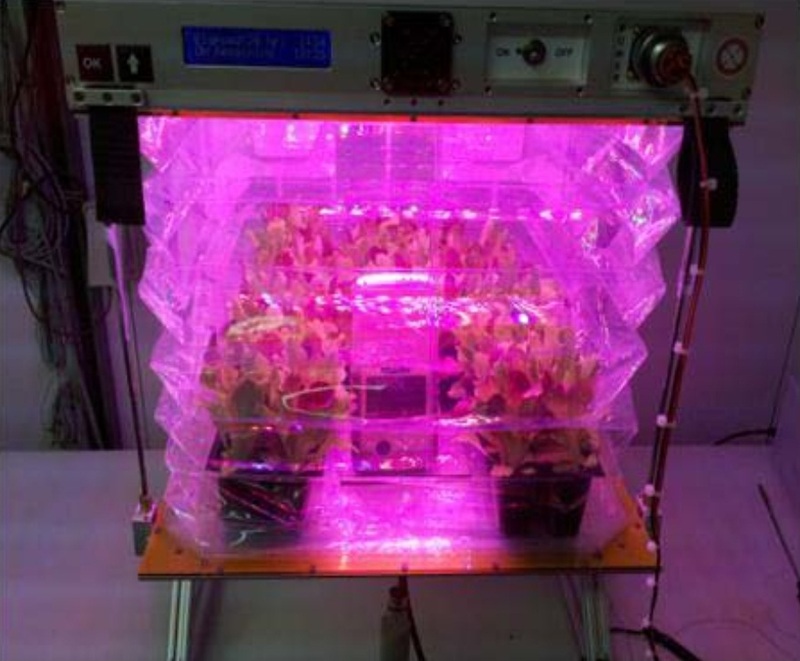 Four different wavelengths of LEDs will be available for each of the 60mm Petri dishes (blue, red, far-red and white) and the intensity or on/off cycling can be configured per each experiment’s requirements. The BRIC-LED hardware also logs temperature, LED status, canister pressure and accelerometer data as auxiliary experiment data. The Advanced Colloids Experiment (ACE-M2R) is a re-flight of ACE-M2, studying the microscopic behavior of colloidal liquids and gases separating from each other using colloid rich liquids and colloid poor gases near their critical points (no sedimentation) where there is no clear distinction boundary between the two phases. Previous ACE experiments looked at long-term colloidal phenomena transpiring over a period of weeks while ACE-M2R will seek to explore micro-scale events on short time scales. Colloids are micron-scale solid particles suspended in a fluid (gas or liquid) with particle sizes small enough so that thermodynamics drives their behavior. Removing gravity takes away sedimentation processes and exposes the thermodynamic processes responsible for phase transitions and other mechanical phenomena. The particles have to be large enough to be probed by light, using scattering and microscopy techniques to follow particle motion and density patterns so that single-particle knowledge can be obtained to characterize an array of physical processes such as crystallization, gelation, phase separation, and dynamical arrest in glasses. 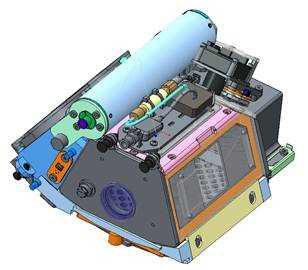 The ACE-M2R experiment upgrades the original ACE-M2 experiment from a 2D measurement to 3D using the upgraded Light Microscopy Module (LMM). Colloidal mixtures are found abundantly in consumer products on Earth and experiments such as this are needed to improve their quality by development if stabilizers to increase a product’s shelf life before separation phenomena set it. Veg-03 marks the third operational deployment of the VEGGIE Plant Growth Unit that was first used in the first half of 2014 to grow red romaine lettuce plants as part of a proof of concept of the Plant Growth Unit including two different sizes of arcillite, a calcined clay media in which the plants were grown. 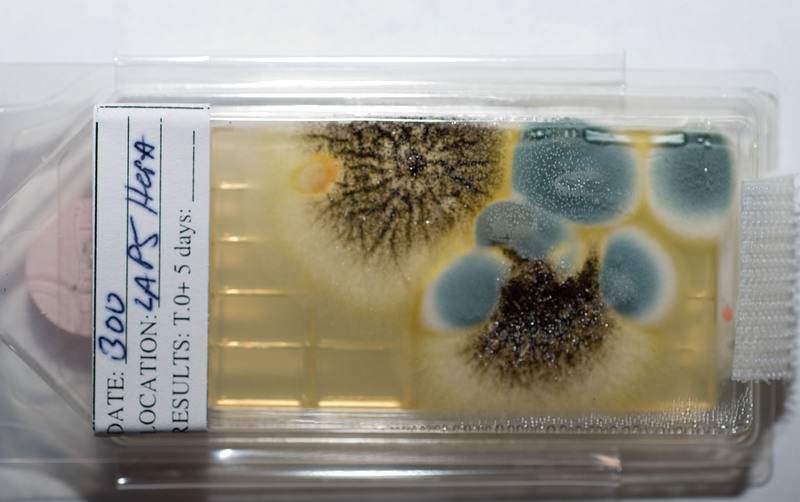 Ground testing of the Plant Growth Facility showed a very low microbial contamination of plants that were grown within it and the Veg-01 experiment samples also showed a low microbe level with no specific pathogens being detected by ground-based testing. 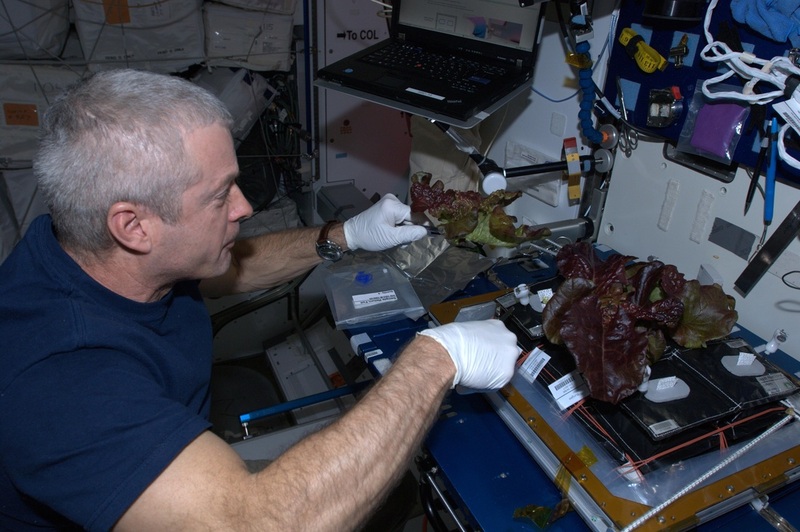 Assessments were conducted by microbiologists, flight surgeons and space food technicians who concurred that the crew should be able to consume the fresh produce with precautionary sanitizing using on-orbit Prosan wipes. 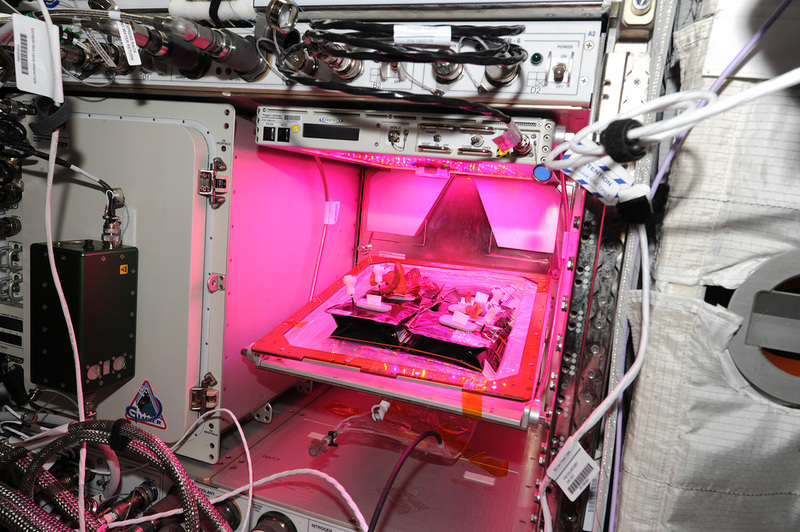 In 2015, the Space Station crew got their first taste of home-grown lettuce harvested from the Veggie Plant Growth Unit. Another 2015 study provided the crew with a touch of color when the first flowers grown on ISS were harvested by Astronaut Scott Kelly who also provided valuable insights into changes of experimental and operational protocols necessary for future Veggie experiment runs. 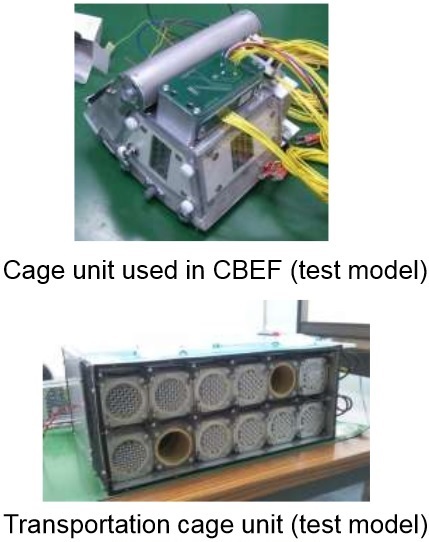 Passive radiation-shielding materials will be evaluated based on density, cost, and on-orbit radiation deterrent effect to determine the most advantageous material for long-term space travel. The Higher Orbits Foundation and the 2016 Andromeda Award Winning Team DASA from Go For Launch! Deerfield Program will lead this investigation.